Riddle: What's the most expensive one-day affair in Singapore? If you guessed weddings, you got that right. 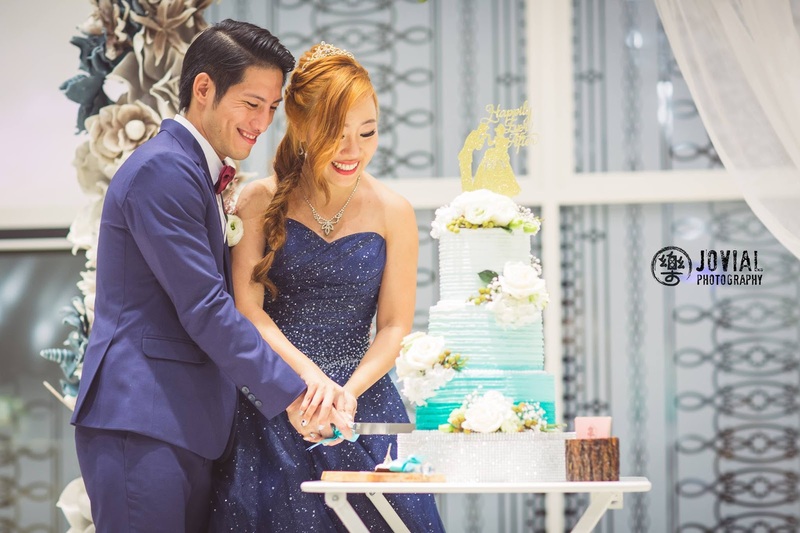 With the costs of the average Singaporean wedding ranging from $40,000 - $70,000, it is no surprise that more and more couples are looking for ways to reduce this figure. After all, wouldn't it make more sense to spend it on your new home instead (which you'll be living in for years to come), rather than splurging everything on a one-day event that hardly lasts 15 hours? The first step: Skip the diamond engagement ring. Diamonds lose a large portion of their value the moment you purchase them, and are poor assets to keep for the future. Giving your girl an expensive diamond ring (that costs 3 - 4 months of your salary) is also quite impractical because they may then become too worried to wear it out regularly. Instead, consider alternatives like gold, sapphire, ruby, emerald, or even man-made diamonds which go for a fraction of the price but with even more shine. Plus, didn't you see that viral article about how Costco's (the equivalent of our NTUC in the US) diamonds are actually on par with those sold at exorbitant prices at Tiffany's? 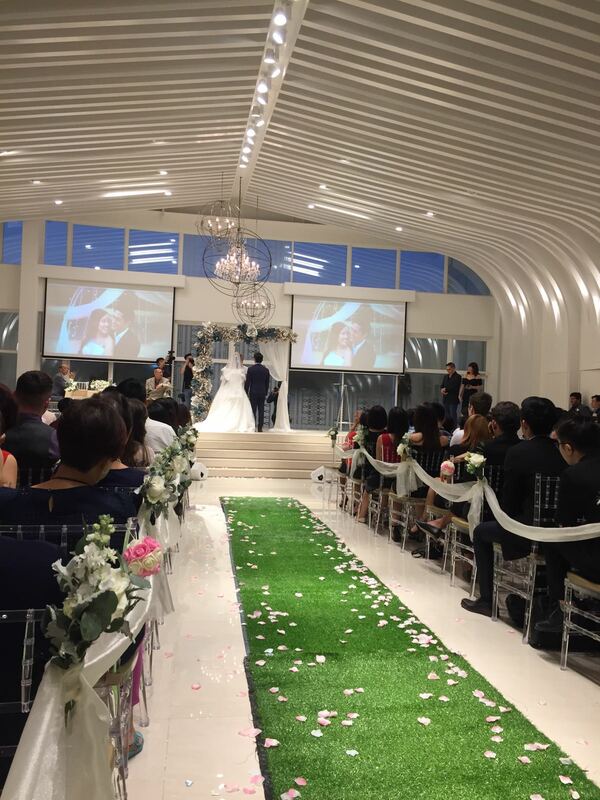 Weddings are getting ridiculously expensive in Singapore. It is no secret that inflation occurs at a ridiculous rate for the wedding industry. Photographers or hotel banquets raising their fees by a few hundreds each year? Yup. 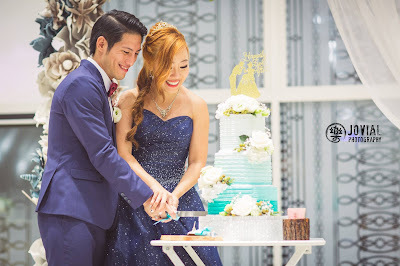 You can start getting prepared by looking at estimated costs for wedding services in Singapore. Why blow an entire year worth of your salary on a one-day affair? Consider spending the money on travelling or building a comfortable nest (house) instead - stuff that would add more value to your marriage, rather than a one-day show for the whole world to see. But I'll "recoup" my wedding expenses from the ang paos! Not every couple covers back the cost of their wedding from the ang paos. Often, it also depends on who you invite to your wedding, and when you have limited seats, are you sure you want to choose between inviting your friends and the ones (you're not so close to) who can give you a bigger ang pao? How should I start planning my wedding? Unless you can afford a wedding planner, you'll probably be doing most of the planning for your big day in order to save some costs. Here's a good 10-step guide to to follow if you're feeling lost as a new bride-to-be. How can I keep my wedding costs low? No matter what the wedding industry tells you, I'm not a believer in spending a bomb on just one day of your life. After all, I'd rather spend that money on my house, future travels, or more. If you feel the same way, here's how you could potentially keep the cost of your wedding to under $25,000. And yes, that excludes ang paos given to you by your guests. 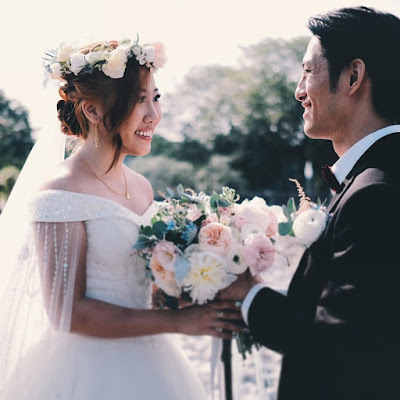 While there are plenty of resources online by other brides who claim to have executed their wedding for 4 digits, note that those are usually smaller affairs for less than 100 guests, so what worked for them may not apply for you if you have a bigger guestlist on your hands. Do your research and adapt the tips that work for your situation accordingly. Should I get a bridal package, or go ala-carte? If you're looking to cover multiple bases at one shot, bridal packages offer a great deal of convenience to brides who are too busy to take care of the nitty gritty details. Of course, the price you thus pay is a lot higher, sometimes two-fold of what it would cost if you DIY-ed the different vendors yourself. Perhaps you've always admired a certain photographer's style, and dreamed of having him/her shoot for your big day. 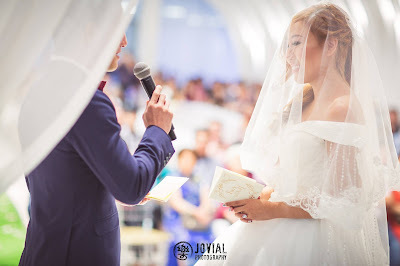 If you want to be able to pick the wedding vendors you work with individually, then going ala-carte would give you the most control over quality. However, be prepared to do more work as more effort on the planning and coordination is needed if you're planning to go ala-carte. What should I look out for when buying my wedding gown on Taobao? Taobao is a fantastic resource for all budget brides! But just remember that if you opt to get your gowns here, there's a chance of it being either a "hit" or a "miss". Here are some tips I recommend in order for you to minimise your chances of getting a gown that fails you! If you've decided to go DIY, here are some gorgeous locations in Singapore to take your pre-wedding photos at. Top favourites include Tuas Lalang Field, Hort Park, Sunset Way Railway Track, Portsdown Road, Upper Seletar Reservoir, and of course the Marina Bay scenic area. For indoor shoots in case of rainy weather, I highly recommend Victoria Concert Hall and Gardens By the Bay. The National Museum is another great indoor location, but there'll be a fee if you want to get access for indoor shoots. Which credit card(s) should you use to maximise the cashback / rewards from your wedding expenses? Weddings are expensive, and no matter how hard you try, you're probably going to be spending at least a 5-digit sum (for 100 guests and up). With such a big expense coming up, you should always try to maximise the cashback (or any other benefits) you can get from all the money spent. Note that there may be changes to some of the credit cards T&Cs highlighted in this post, so do conduct your own homework to update this list if necessary. Find and create a spending plan that works for you! I have bad skin but want to look good on my wedding day. What should I do? Makeup can cover your pimples and acne, but they cannot hide your bumps. If you're thinking of improving your skin condition prior to your wedding, I highly recommend switching to an organic skincare routine - this worked wonders for me. Alternatively, you can also consider medical facials or laser treatments, and Astique Clinic was the place I chose to go to for my skincare woes. Why do makeup artists charge so much for their services? What hidden fees should I look out for? Welcome to the bridal makeup industry, where you can expect to pay upwards of $500 just for someone to doll you up on your wedding day! Having said that, you'll probably want to spend on hiring a hair & makeup artist lest you get too stressed out on your actual day, and also because given the sheer number of photographs you'll be taking, wouldn't you want to look good? To avoid getting ripped off by MUAs, read this article for the common hidden costs that your MUA probably won't tell you, about, and make sure you get them to include this in their quote for you so you don't get any nasty surprises at the last minute! Photo Credits: View as captured by one of my guests! Read about how we pulled off our fairytale wedding for under $100 per guest, as well as our 6-page exclusive feature on Her World Brides here. Remember, a wedding is just for a day, but your marriage is for a lifetime. Which one would you choose to spend more energy and money on? For engagement rings, just go for cubic zirconia which are 80% the hardness of diamonds (much harder than glass) and with 90% of the sparkliness. Cost from $5 to $20 depending on metal used (stainless steel or sterling silver) & size/number of the rock(s). Suggest a simple traditional 1 carat solitaire that will look damn real. Skip those outrageous 10-20 carat ones with multiple stones unless you really are a multi-millionaire & can carry off wearing such an ostentatious ring without anyone crying "Fake!". The other thing is the banquet venue. If you have access to a big church then costs can be really lowered. Otherwise to keep costs down, you're left looking at cheesy old Chinese restaurants or even more cheesy community centres or void decks (hey we can learn something from our Malay friends). Cheesy can sometimes also be fun! Heh. hey BB! love reading your post :) but there are some posts which I am unable to access to. Like "What should I look out for when buying my wedding gown on Taobao?" and "cheap date ideas". May I know did you take down these posts?